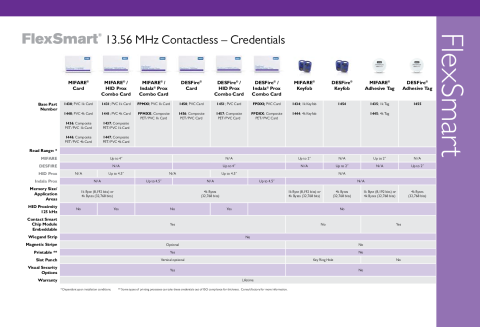 Designed to help organizations improve their credential-based security and maximize value from their credential investment by adding multiple applications, these secure Genuine HID™ card products address emerging requirements for HID MIFARE DESFire EV1 technology. 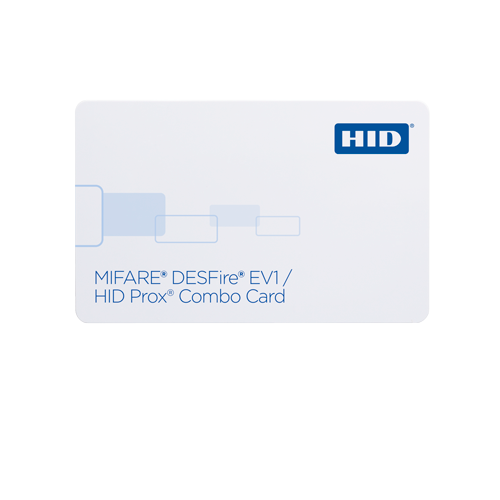 Suitable for adding HID MIFARE DESFire EV1 applications to an existing HID Prox-based access control system, the HID MIFARE DESFire EV1 / Prox converged credential provides a wide range of backwards compatibility with existing systems and is available with HID Prox and/or magnetic stripe technology. With a more advanced feature set than MIFARE DESFire 0.6 (D40), HID MIFARE DESFire EV1 cards are designed for diverse applications that demand the highest levels of security, including access control and biometric identification, cashless vending, public transportation, ticketing and customer loyalty cards. In addition, these cards can be fully personalized with the wide range of customization offered by HID's Identity on Demand Services. High Security - Mutual authentication, AES 128, DES and triple-DES data encryption and unique 56-bit serial number. Read/Write Functionality - Perfect for multi-functional memory applications. Transition Solution - Add smart card applications to existing HID Proximity technology access control systems. 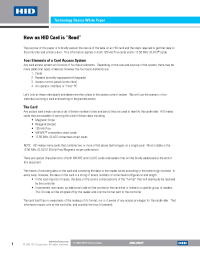 True Credit Card Thickness - Use with all direct image and thermal transfer printers.